Pilgrim School: Watch Out World! Update: Mark Brooks is no longer head of school at Pilgrim. He is now head of The Center For Early Education. As of July 1, 2017, Pilgrim’s new head of school will be Paul Barsky. My first introduction to the Pilgrim School was during my job as a senior legislative staffer for L.A. County Supervisor Mark Ridley-Thomas (then a City Councilman and former Pilgrim dad). I hired an intern who was a Stanford freshman and a Pilgrim alumni. R. turned out to be one of the most gifted writers I’d ever worked with. 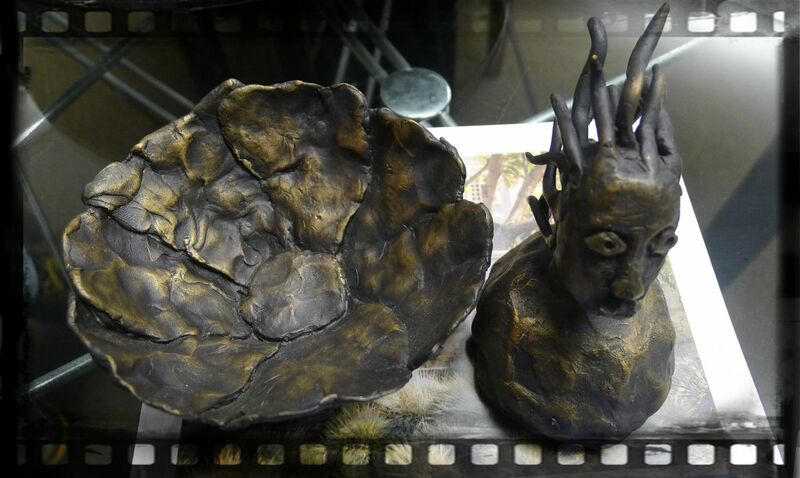 R. stunned me when she turned in her first assignment. She had the writing and analytic skills of someone with far more experience. And, she was awesome to work with. Professional beyond her years, she came back to intern with us for a second summer before completing her degree. I was thrilled (but not surprised) to learn she now has a high-level job at Stanford. Pulling into the Pilgrim School parking lot on a recent morning, I was awed by the beautiful main building. It is majestic, set back off the street, serving as a wonderful welcome to the school. The Pilgrim campus sets the tone for its location in the Wilshire Circle neighborhood, just east of Hancock Park. 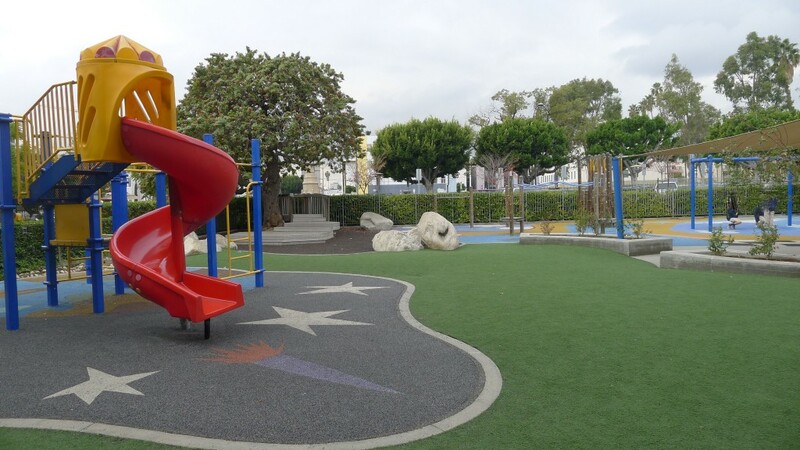 In the midst of a bustling, vibrant area, the campus is pretty and spacious, offering a location that is accessible to families from Hancock Park, Silverlake, Koreatown, Los Feliz, Downtown, West Adams and Mid-Wilshire. It is, “A city school,” says Pilgrim. Patricia Kong is the vivacious, friendly admissions director and mom of a Pilgrim preschooler. She introduced me to Dr. Mark Brooks, head of school, and we sat down in his office to talk about the school. Dr. Brooks (Mark) is a powerhouse of intellect and personality, a true tour-de-force. He’s an outgoing, charismatic former law partner who became Pilgrim’s head of school eight years ago. Sitting in Mark’s office we chatted about Pilgrim and the world of L.A. private schools. Mark’s legal background serves the school well. As he puts it, his former job was one where, “People returned my calls right away.” His well-connected gravitas, along with that of the school’s board of directors, has meant that Pilgrim is a mix of both very affluent and celebrity families and those who receive financial aid. Mark has fundraised voraciously to bring new resources to the school, including its newest pride and joy, the Brown Family Fine Arts Center. Being around Mark is like having coffee with an old friend. His laughter is infectious and the conversation flows easily from topic to topic. He wears many hats, including as a dad of a former Pilgrim student. Pilgrim truly reflects the ethnic and socio-economic diversity of Los Angeles. Taking about Pilgrim, it is evident that Mark is a master at understanding what a widely diverse group of kids need. His commitment to the kids in his charge speaks volumes. As he told me, “Some of our kids won’t begin their careers with the connections to open doors and will need to cold-call throughout their lives. It is my job to ensure they are prepared academically and socially for that challenge.” This is a profound statement because it demonstrates an understanding of how the world of work operates and what it takes to achieve career success. Mark’s commitment to the kids’ success in life speaks volumes about his real-world experience as a lawyer and he’s putting those skills to work on behalf of Pilgrim students. 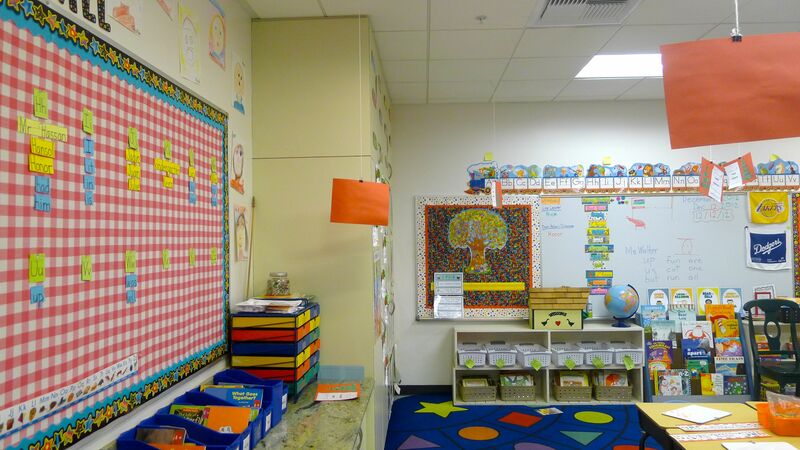 The Kindergarten program is a melding of learning and fun…of tradition and creativity. The elementary program offers writing, math, sports, music, the arts, technology and science. Beginning in fourth grade, students take field trips to Catalina, Joshua Tree, Yosemite and of course, the school’s 270 acre camp in Big Bear at Cedar Lake. Key aspects of the elementary program include learning, empathy, social awareness and fostering a sense of belonging. Community service—a wide variety of meaningful school and student initiated programs—are a graduation requirement and begin in elementary school. Pilgrim is a traditional school with a commitment to educating the whole child. 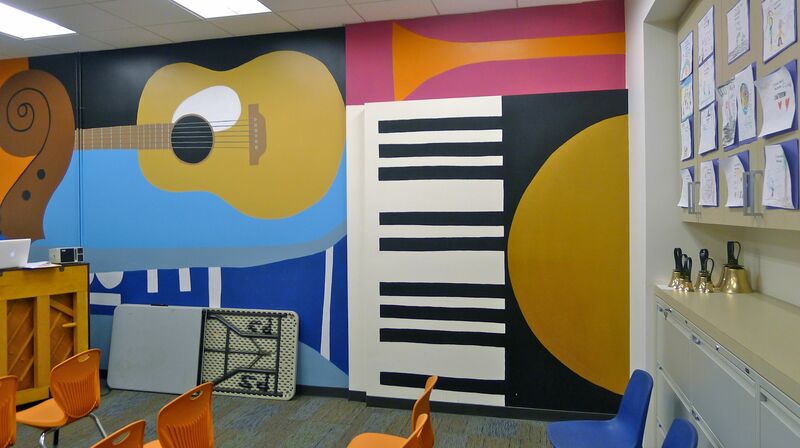 Technology (ipads, Smartboards, electronic textbooks and laptops) play as important a role as the arts. 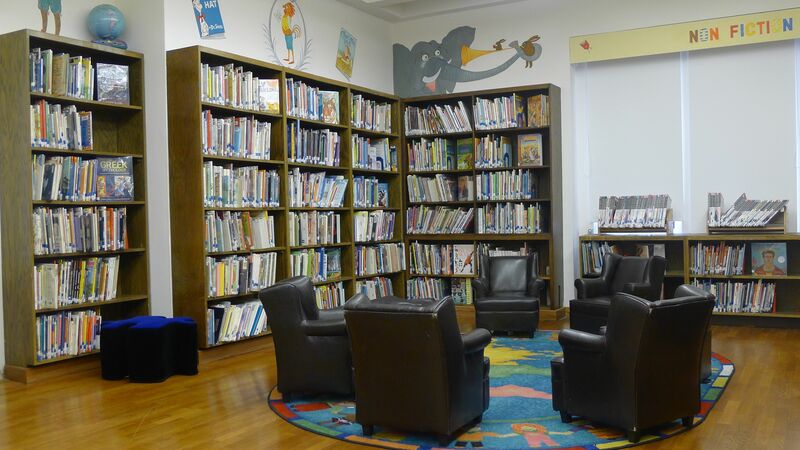 The school has a Visiting Artists and Writers Program where highly acclaimed authors like Lisa See, Erick Larson and Jane Smiley are among many who have spent time at the school leading discussions with the kids and faculty. A certain intellectualism defines the school’s culture. Lacking snobbery, this culture makes it cool to be smart and well read. Never precious or contrived, the school creates a cool-kid college prep environment with a touch of warmth and just the right amount of casualness. Founded in 1958, the current day Pilgrim is the embodiment of Mark’s hard work and his remarkable personal qualities. He does it all with his signature mix of intelligence, humor and skillful relationship building. Whether it is recruiting top teachers or working with students and faculty to achieve the school’s 100 percent college acceptance rate, Mark and his team have created a learning environment that evokes an atmosphere of serious study within a small, community oriented school. Both modern and traditional, Pilgrim transcends hype and instead focuses on the big picture, which is to offer a solid foundation in academics and a strong moral code within a mildly religious school (Pilgrim was founded by the First Congregational Church in L.A.) Once a month, students K-12th grade attend chapel to focus on topics ranging from patience to gratitude. Music is an important part of the curriculum. The day I visited, as Patricia showed me the 2nd floor, the sound of exquisite music filled the room. She explained that the upper school student who was playing the organ had received requests to teach other students the instrument (which requires a high degree of difficulty) and had agreed to help them learn to play the organ. Less is more at Pilgrim, except when it comes to the new Fine Arts Center! There, more is more and that’s a good thing. 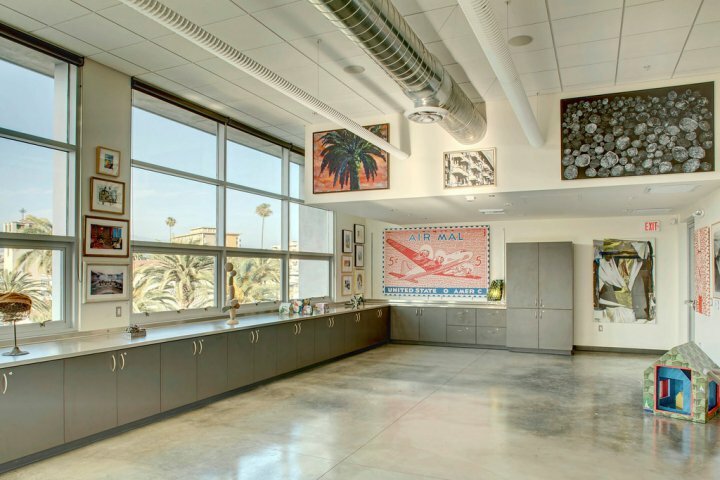 The enormous, light-filled space is a place where students learn and create: painting, sculpture, visual arts and ceramics, among other artistic endeavors. 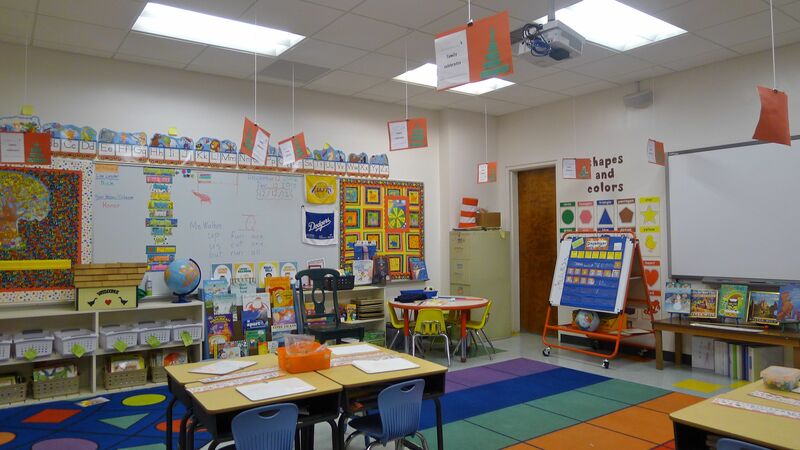 There are 140 students in the elementary school, providing small classes and a student/teacher ratio of 11:1. The average class size is 12 students. Pilgrim School is a vibrant, inspiring school that is small in size and rich in human and educational resources. 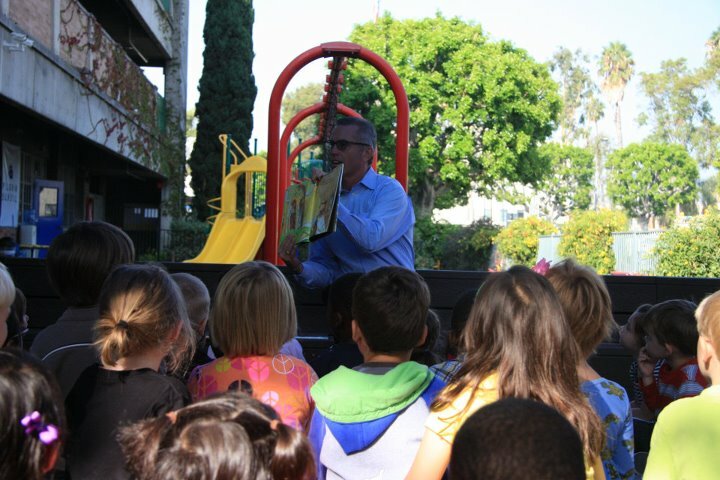 With support from The Ahmanson Foundation and The E.E. 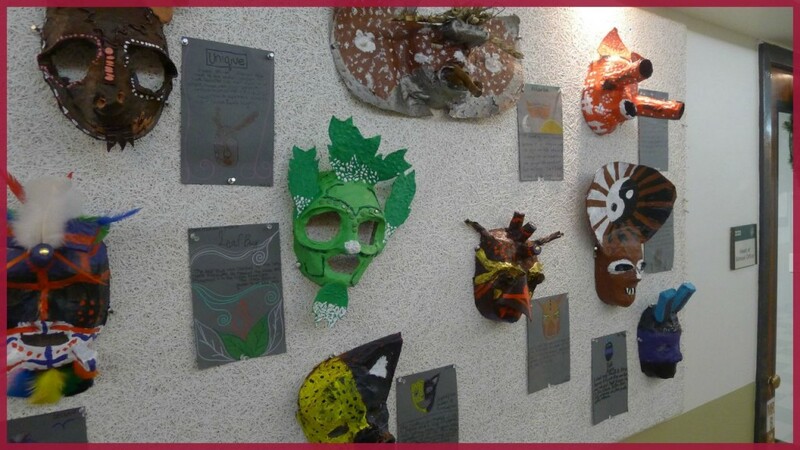 Ford Foundation among other sources, the school is able to offer significant financial aid and scholarships. It is both traditional and spirited, a warm and wonderful place to spend a morning with the indomitable Dr. Mark Brooks and his staff. This may be my favorite profile to date. Mark and Patricia are phenomenal administrators with a strong vision for their school and high expectations for their students. 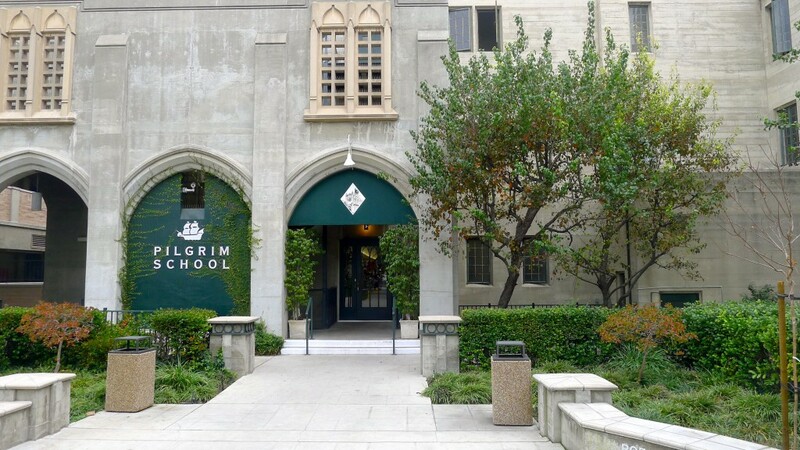 The Pilgrim School is truly a hidden gem amidst the independent school landscape in Los Angeles. Wow, this school looks amazing! Thanks for sharing. We loved reading this as we are among Pilgrim’s most enthusiastic fans! Our son graduated from Pilgrim 2 years ago. The years he was at Pilgrim really changed his life. He transferred to Pilgrim from a larger Westside school. We commuted from Pacific Palisades and it was worth every mile. He loved the diversity and made many lifelong friends. His teachers were phenomenal and because of the size of his classes they became his mentors with whom he established close bonds. That includes Dr. Brooks, the headmaster, who takes time to know every student and family. (Christina, you absolutely nailed Mark Brooks’ exceptional talents, infectious energy and enthusiasm!) Our son had opportunities that would probably not have been possible at any other school. He took multiple AP classes, was the Editor in Chief of the school newspaper, played volleyball and was a peer tutor to other students. Pilgrim fostered a passion for learning that continues in college. It’s a unique, wonderful, dynamic school. Dear Barbara, thanks for your comment! I love hearing from parents about the schools we profile on the blog. I was so impressed with Pilgrim and I hope other families will consider it in their school search. Thank you for your accurate portrayal of this school!! 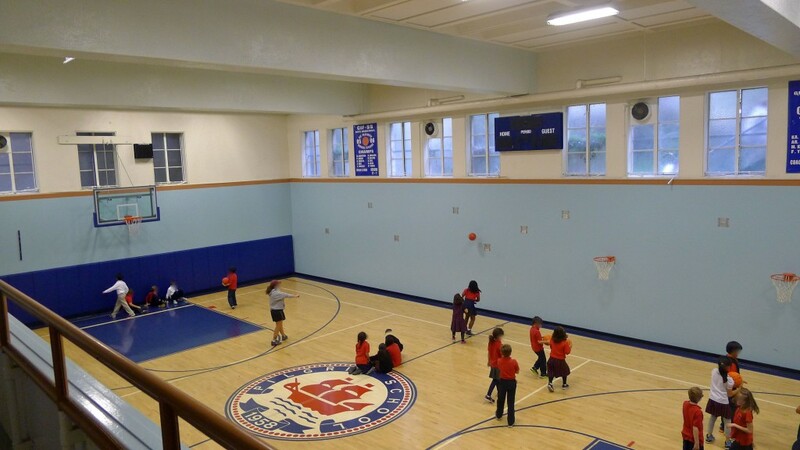 A frustrating experience at a highly esteemed charter school in West Los Angeles led us to look into other options, and we found this lovely gem called Pilgrim School. Our son, who previously dreaded attending school, is starting his second year at the school as a first grader, and has turned into a child who thrives in the nurturing environment and is reluctant to go home at the end of the day! Reading your article while our son was still new to the school instilled a sense of pride in us, but we were waiting to see how our experience turned out. The school’s regal grounds are stately yet welcoming, and the atmosphere is structured yet creative. The teachers are so caring, and staff extremely responsive. Patricia Kong is the elegant and gracious vice-headmaster, calmly and capably able to juggle a million tasks. The dapper headmaster, Mark Brooks, is truly remarkable, full of infectious energy, charm, and intelligence. As a lawyer myself, I very much appreciate his ability to clearly articulate his vision for the school, address issues, big and small, to communicate successfully with the diverse community, and to tirelessly advocate on behalf of Pilgrim and its future. Despite his huge responsibilities, he is very accessible, and I am aware of several instances in which he has personally addressed individual student and parental concerns. I love that Mark Brooks is always looking to the future with the aim of nurturing the strengths and individuality of each child, and instilling the importance and wonder of being a student and member of the community.